We, like most gardeners love to cram in a lot of shrubs, trees, perennials and grasses into our garden. 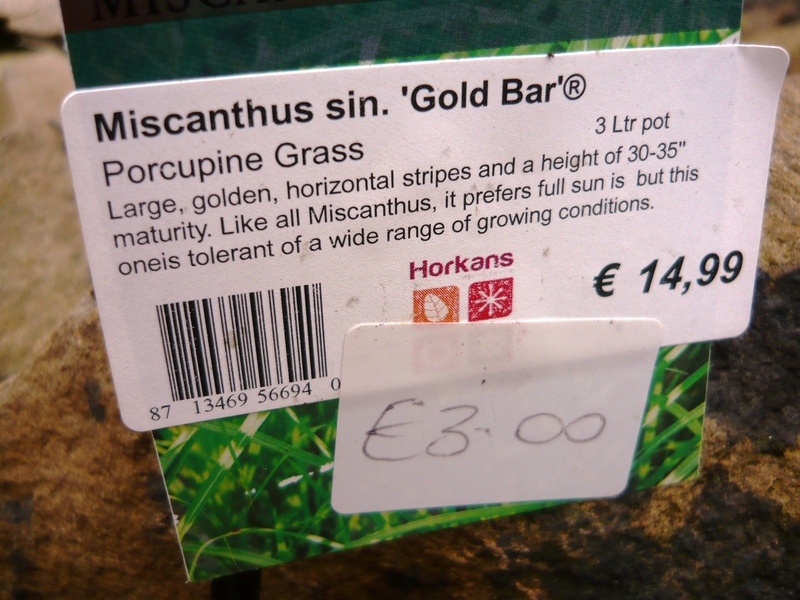 Unfortunately we do not have the means to pay for full priced plants in the garden centre, but over the last couple of years we have found out that it is not so unfortunate after all. At certain times of the year we visit the sales at our local garden centre. Especially in spring, we have been very fortunate as they sell out a lot of last year’s perennials and grasses at as much as 75-80% off the original price. 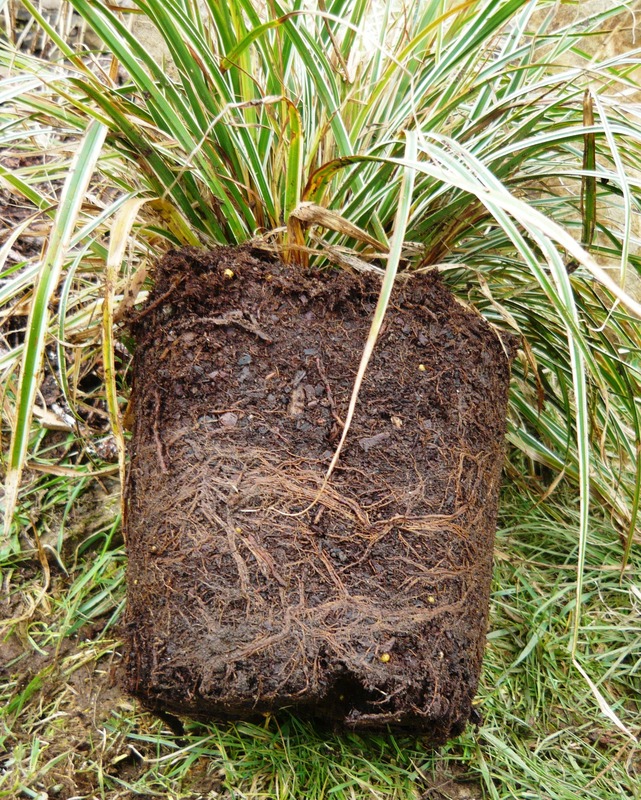 These plants may look a bit worse for wear, but when you get them out of the pot you almost always find that they have a great root system and are just perfect for planting out in the garden. We have bought almost all our plants in this way and have had very few casualties. A couple of weeks ago we picked up five potted grasses at a sale and we only paid €15 for the lot instead of the full €75. Today we finally had a bit of time to plant them. We started by forking the ground over lightly to remove all the couch grass that unfortunately has a tendency to creep across and root on any bare piece of land in our garden. 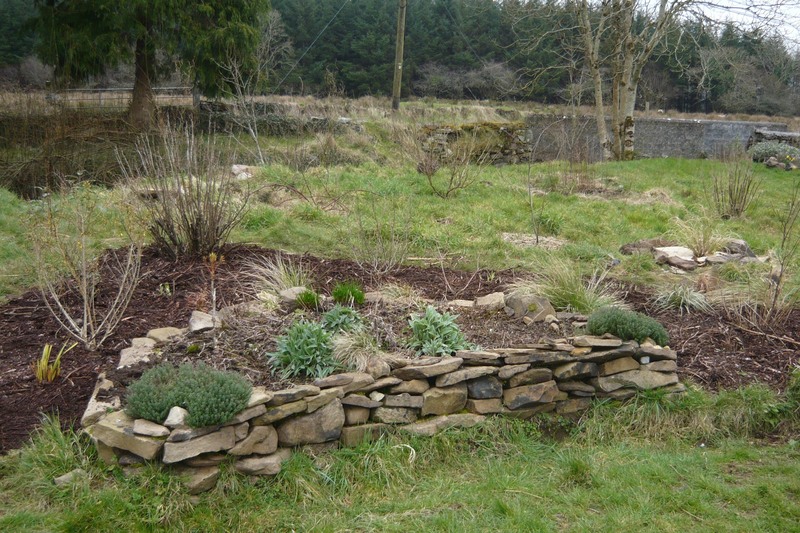 We had some shrubs and grasses from last spring’s sale growing in this area and just wanted to add some more grasses to make for a beautiful and hopefully easily maintained part of the garden. 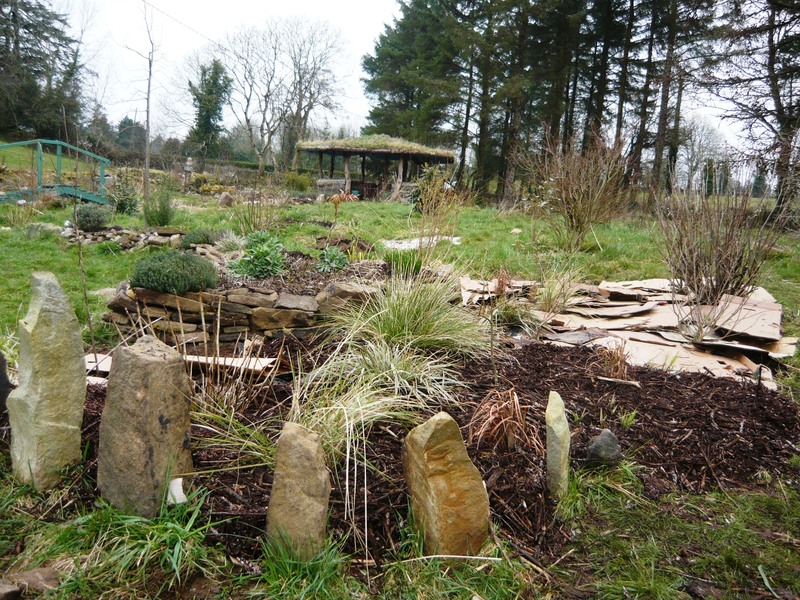 We planted all the grasses, adding a lot of well rotted manure to the planting holes and put down a double layer of cardboard boxes, to suppress the weeds and help with moisture retention if we get a warm and dry summer. 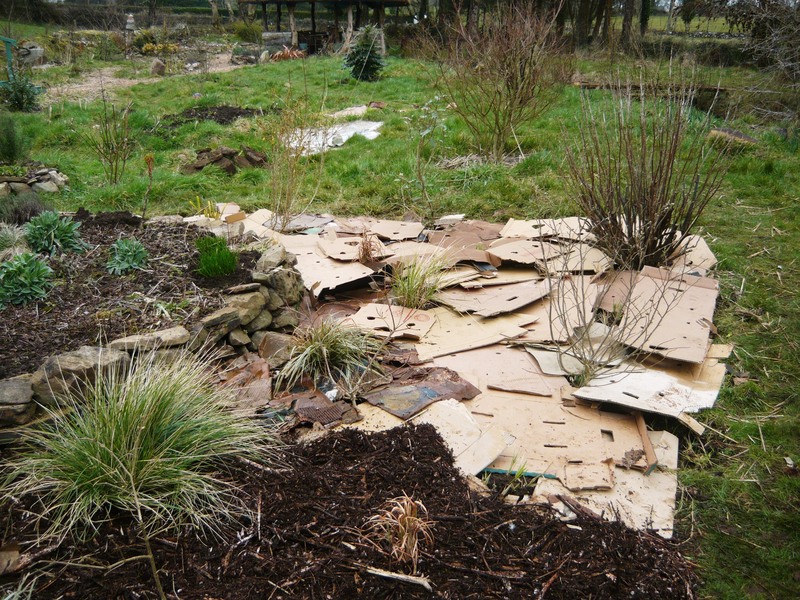 We always put down cardboard and mulch on top of it around all small trees and shrubs as without the competition from weeds, they grow up to twice as fast. Our local supermarket is happy for any boxes we take away as they have to pay to recycle them. We have picked up many thousands over the last couple of years. 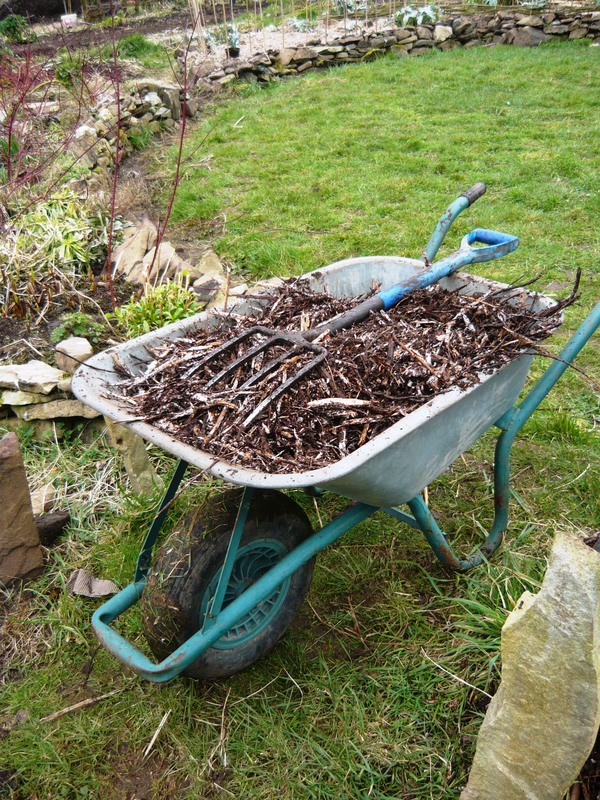 We use them on all our paths as well, under the wood-chip mulch. As mulch for our newly planted grass area we put on a 15 cm layer of shredded Laylandii and we hope this will be enough to work as a weed suppressant for this year and hopefully by next year our ornamental grasses will have taken off and can handle the competition better. 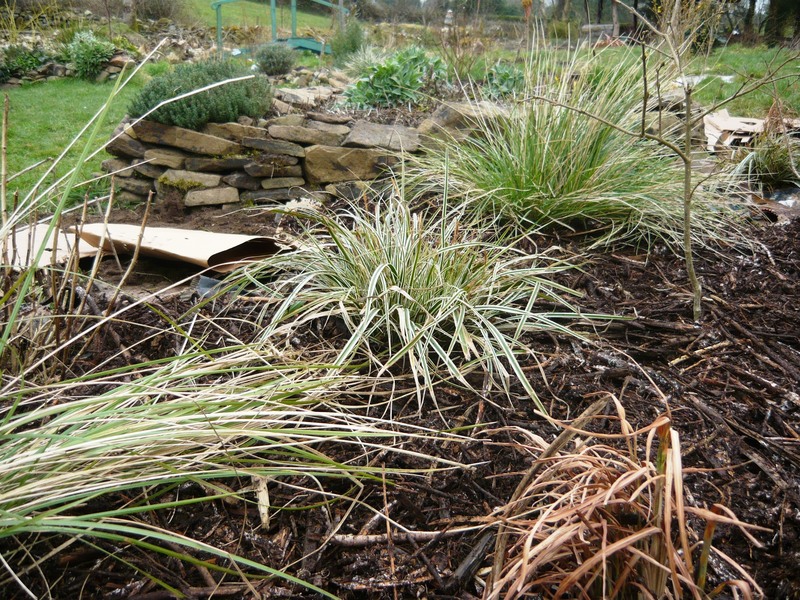 We do think it looks pretty, as the dark colour of the mulch contrasts beautifully with the golden and variegated grasses. We are so much looking forward to see how it will turn out in the summer. ← Wish upon a star mosaic.